LOS ANGELES -- Caitlyn Jenner took a break from being Barbara Walters' most fascinating person of 2015, walking various red carpets and filming the second season of his reality series, "I Am Cait," to tell the country's TV critics Thursday that she really doesn't crave the spotlight. "Honestly, I really have never seeked fame and all of that kind of stuff. 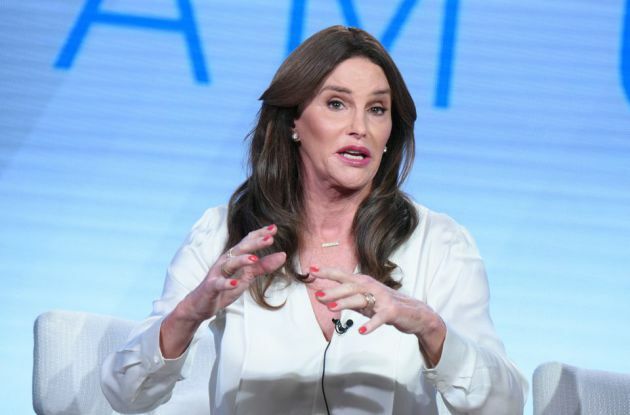 That’s just not me," said Jenner, whose show returns to E! on March 6. "The only thing that I have struggled my whole life with is finding inner peace. "I really haven't done much (publicity). Now, it may not seem that way, but I really haven’t. I want this community to be represented the right way. The platform is not for me. Okay? It is for this community." * On the fact that she remains a Republican: " Well, I really don’t want to heavily get into politics because, certainly, we have enough politics going on in the United States right now. But as I tell the girls, it’s kind of good. If the Republicans haven’t been very good on this issue — which I agree, they haven’t been. Certainly the Democrats have been better on this issue — isn’t it good that they have an ally, somebody on the team that can go in there and maybe change their minds? That’s a good thing. That’s kind of the way I look at it." * On Ricky Gervais' joke as host of the Golden Globes about Jenner's car accident: "I think what I’m going to do is call the Golden Globes and see if they need a new host for next year, and we’ll solve that problem." * On how she remains fit: "Eat your Wheaties.I just I don’t really exercise like I used to. I love morning walks. I live out in Malibu, and I’ve got mountain trails forever. I go for morning walks. I try to eat properly, the best I can anyway. Yeah. And I just should stay away from the Starbucks a little more. That’s about it." Other celebrities chatting with journalists here Thursday included Josh Holloway, Nick Cannon and John McNamara, whose screenplay for "Trumbo" helped steer Bryan Cranston to an Oscar nomination earlier in the day.